It's a GPS location system that allows you to track people, pets and objects and send you notifications through a mobile or web application. The system sends notifications in cases where a person or an object leaves a certain area that you can customize (school, work, home, park, city ...) or when the device has a low battery. The price includes data transfer around the world for 12 months and up to 10 SMS messages per month. You can access location data over the phone or computer. - Warranty for 12 months. - Monitoring capability. See where your luggage, backpack, bag or envelope are with our sophisticated mapping system that automatically sends smart alerts whenever they crossed out of a pre-selected fenced area. - NEW! Light sensor detects when the luggage or envelope or any other object has been opened. The moment is senses light it sends an alert to your mobile phone or computer. - Mobile tracking. Aside from accessing Trackimo’s location from your PC, users can track their device and manage all activity in real time using an Android or iOS phone. This is a perfect feature for entrepreneurs looking to manage their luggage or objects while on the go. - Compactibility. Lightweight, slim and waterproof design makes the Trackimo 3G Travel Tracker easily hidden inside your luggage, envelopes, bags, and other. - Ensuring safety. Tracking will improve and assure that the luggege gets to the right place and person. - Providing peace of mind. 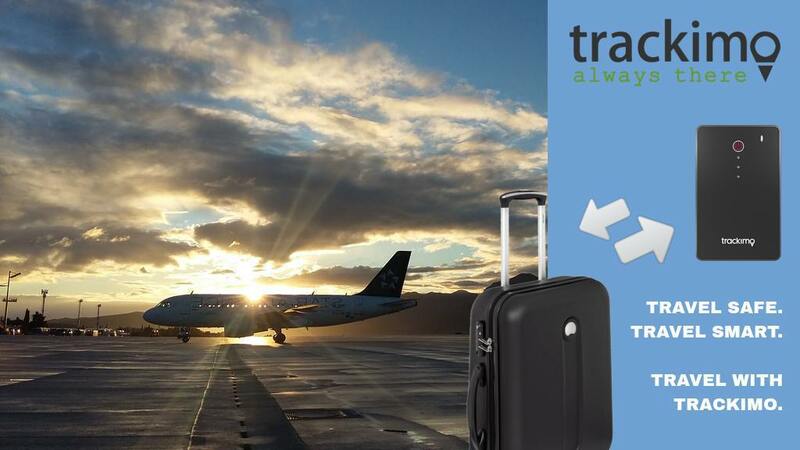 Trackimo 3G Travel Tracker gives you confidence knowing that you can ensure the safety of the objects you value at a single touch of a button. - Trackimo 3G Travel Tracker can withstand up to 5 days of active operation. Have a question or want to get a quotation?